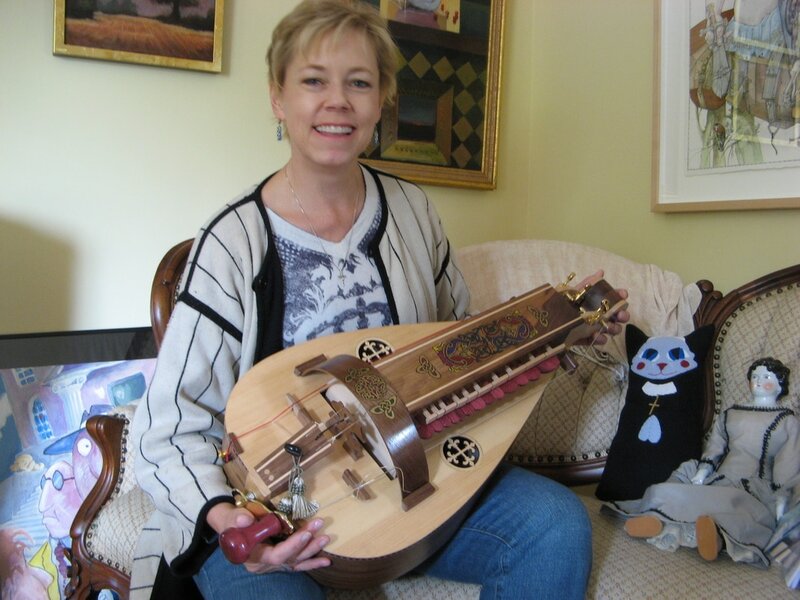 "I really love my hurdy gurdy. Glenn and I had a holiday open house yesterday, I brought out the hurdy gurdy to everyone's delight and amazement. Everyone wanted to try it out and everyone noted the beautiful woodwork." My Altarwind Music Hurdy Gurdy arrived four days ago. As a courtesy to both the creators of this instrument and to all those thinking of purchasing an instrument from them, I thought I should summarize my experience and provide my impressions of the instrument that I received. Without exception, the service provided by George and Anwyn is extraordinary - beyond compare, honestly. Questions were answered promptly and courteously both before the purchase, during the build period, and after receiving the instrument. To my delight, this was true both phone and e-mail communications. Anwyn and George’s kind and gregarious nature shined through every conversation. The depth and detail included in the responses that I received from them was a clear indicator that they had carefully considered my questions, even when I was not able to articulate them (largely due to my lack of familiarity with these instruments). They were always patient and willing to take the time necessary to educate me in all things hurdy gurdy so that I knew what to expect when I received my instrument. Overall, the communications were friendly, considerate, and free from pretense. It was an absolute joy working with them. Though we typically think of a direct relationship between price-point and quality, given the Altarwind experience, we may need to reconsider this rule. The instrument that I received from George and Anwyn is a testament to the notion that quality and beauty should be made available to everyone – even middle-aged working class guys like me who never imagined that I would be able to afford such an exotic instrument, let alone one of such excellence! When I removed my hurdy gurdy from the box, the first thing I noticed was the quality of the workmanship. From a purely aesthetic standpoint, the instrument is a work of art. The attention to detail is striking. The love and caring that went into the making of my hurdy gurdy shines through the clean lines, the depth of the finish, and through the brilliant contrast of grains and tonality of the woods selected for this unique build. I found the instrument very easy to tune up and overall it took just a matter of minutes before it was ready to play. Bare in mind, I’m a guitar player. I had never in my life touched a hurdy gurdy prior to this moment so I wasn’t sure what to expect when I started turning the wheel. But any reticence I had, any anxiety over whether I would be able to make music on this odd little piece of woodcraft was cast immediately asunder as the first cranks of the wheel inspired the instrument sing out with a bold nobility of tone and a resplendence of volume that one would expect only of the most confident and skilled of performers. The little hurdy gurdy had come to life and I had done nothing more than turn a crank. I was overcome with happiness – my expectations had been more than exceeded, they had been thrown into a state joyful dissonance. I’ve had the opportunity to play some extremely high-end guitars in my thirty years of playing and I like to think that I have a pretty good grasp on the nuances of tonality, and this little instrument really delivered. Although I had heard very good things about Altarwind’s work, I think that I underestimated what they were capable of delivering. In my opinion, this is a world-class instrument delivered at an amazing price. I am extremely happy that I chose to purchase my hurdy gurdy from George and Anwyn. The combination of responsive, personable service and unimaginable value is unsurpassed in a world where the ideas of quality and craftsmanship have become increasingly elusive or often the exclusive domain of a small number of privileged people. I am thankful and grateful to Altarwind Music for building me what has become one of my most cherished possessions, and will be sure to tell every musician that I know to look to George and Anwyn before going anywhere else. 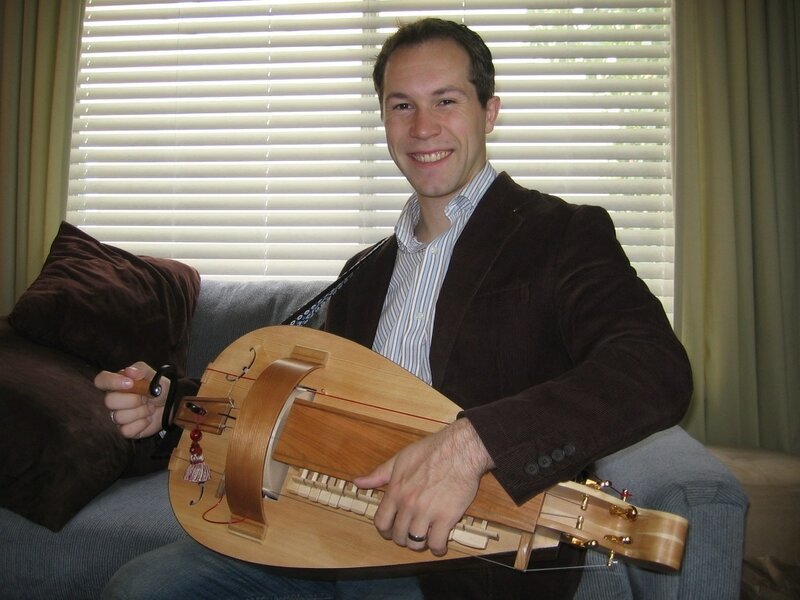 "I am very impressed by the beauty and quality of the instrument. I'm sure it'll take some time to get my right and left hands fully coordinated, but I had a ball playing some Hungarian folk tunes on it last night and it was great. Thank you for being such a great instrument provider and the entire process for the purchase was clear, smooth, and reliable. "I got the hurdy gurdy yesterday and haven't stopped playing it! George is truly a master craftsman, and his work shows his passion and expertise. Thank you both so much for this amazing instrument."